Edel is one of the most accomplished Irish musicians of her generation. Her musical resume boasts a list of accolades. In 2004, Edel was awarded one of the highest honours for a traditional musician in Ireland – the TG4 Young Musician of the Year award. 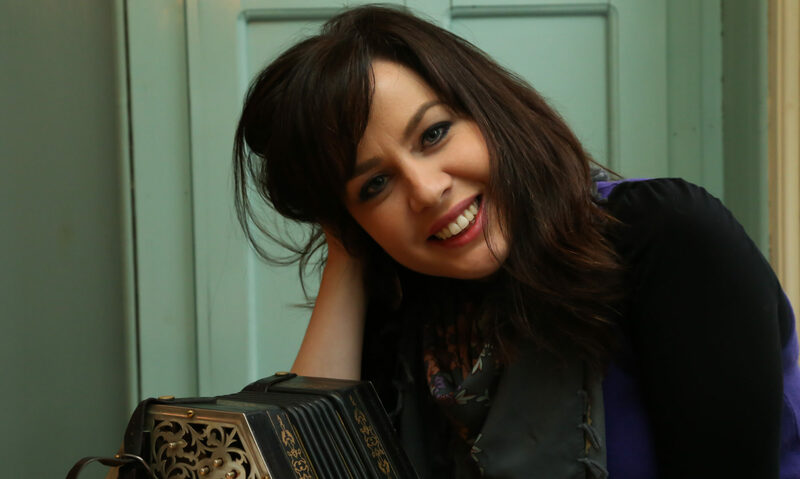 She is a regular performer on Irish National Radio and the BBC and has performed at festivals and in concert halls from North America all the way to Asia with musicians including Jackie Daly, Cherish the Ladies and The Kane Sisters. In 2006 she released an album to critical acclaim with the Galway fiddler Ronan O’Flaherty and a very well-received solo album entitled “Chords and Beryls” in 2010. Her 2013 recording “The Sunny Banks”, featuring Waterford fiddler Neill Byrne was named Tradconnect CD of the Year. Edel is also a member of the prestigious group, The Irish Concertina Ensemble and their debut recording “Zero” (2015) has garnered excellent reviews. In addition to being an engaging performer, Edel is also an insightful and patient teacher, specializing in the repertoire of her native soil. Over the years she has taught at the prestigious Willie Clancy Summer School in her hometown, Miltown Malbay, Co. Clare. Other festivals include the German Concertina Meeting in Wendland, Germany, the Northeast Concertina Workshop in Amherst MA, Catskills Irish Arts Week in NY and Elkins Irish Arts Week, WV to name a few. Edel has a BA in Irish Music and Dance, a MA in Music Therapy from the University of Limerick as well as a H.Dip. in Television Production. Edel currently works in the TV industry as a producer, specialising in arts and cultural programming for broadcasters such as TG4, RTE, BBC and Sky Arts.